Every year, the coming autumn brings incredible festivals of New England's Fall Foliage and throughout the United States in general. Going to a festival is a great way to spend some time outdoors and perhaps see some fall foliage as well. 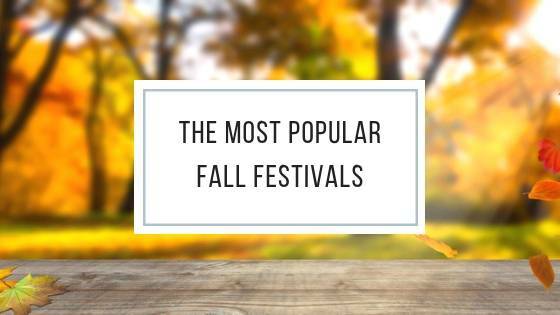 These are some of the most popular fall festivals to go to where you can enjoy the beautiful leaves as a backdrop while you take part in all of the sights, sounds and smells of the event. There are a lot of pumpkin festivals happening all around the country, but none quite like this one. The New Hampshire Pumpkin Festival features two days of celebrating in the streets and enjoying a variety of events and activities. There will be a 34-foot tower of jack-o-lanterns, a 10K run, 5k walk, pumpkin carving, zombie walk, beer garden and a variety of bands and performers throughout the festival. Kids can enjoy hayrides, pumpkin bowling and games. This event is always one of the most anticipated festivals in Circleville. It always begins on the 3rd Wednesday in October and concludes on Saturday. It features a massive pumpkin pie, 14 feet in diameter. It's made out of a whopping 795 pounds of pumpkin, 400 pounds of flour, 360 pounds of sugar, 60 dozen eggs, 60 pounds of powdered milk and 75 gallons of water. It takes 15 people just to mix all of the ingredients and 10 hours to bake this pie. This isn't the only massive thing at the festival, however. Attendees compete to have the largest pumpkin; it's not uncommon for them to have pumpkins that are well over 1,500 pounds. There are also parades, pageants and musical acts at the Circleville Pumpkin Show. If you love the Country Living magazine then you really should make it a point to come to this fair at Stone Mountain. On-hand there will be more than 200 vendors that have come from over 25 different states. They sell everything from antiques to specialty food items. It's a great place to come to for a head start on your holiday shopping. In addition to the shopping, there are seminars, cooking demonstrations, how-tos and meet-and-greets with some of the staff from the magazine. This is considered to be one of the best pumpkin festivals in the United States, so we couldn't leave it out. It features over 4,500 colorful Chrysanthemums, plus about 150,000 additional plants. However, the pumpkins are the real stars here as there are over 90,000 of them plus gourds and squash on hand. The Pumpkin Village will have many different figures and scenes from books like Peter and Wendy in it. Kids aren't left out on the fun since the Children's Adventure Garden is dedicated just to them. There is a great variety of fun events at the North Carolina Pecan Harvest Festival. It starts with a Pecan 5K Run/Walk on the opening day of the event, but continues tremendously with a pecan cooking contest, a car, boat, tractor and RV show, parades, kid's areas and all sorts of food to enjoy. Located in Biglerville, Pennsylvania, all things apple are celebrated here. This festival has taken place on the first two full weekends in the month of October for more than 50 years. Here you can find cooking demonstrations, contests, vendors and a lot of apple-related food. There are steam engine and antique car displays, plus a petting zoo and orchard tours. This event is mostly about the food. With more than 40 restaurants in attendance, visitors are able to select from over 200 different food options. Fall for Greenville may be the most aroma-filled festival on this list! In addition to all of the tempting dishes, there is entertainment located throughout the seven stages that are scattered about Main Street.